On Tuesday, insurers Aviva, Aegon, and Amlin released a joint statement calling on the members of the G20 to pledge to end coal, oil, and gas subsidies in four years. The multinational insurers have recognized climate change as the “mother of all risks,” and believe that the use of fossil fuels—encouraged by the subsidies—have exacerbated the problem. "Climate change in particular represents the mother of all risks—to business and to society as a whole,” said Aviva CEO Mark Wilson. “And that risk is magnified by the way in which fossil fuel subsidies distort the energy market. These subsidies are simply unsustainable." "We're calling on governments to kick away these carbon crutches, reveal the true impact to society of fossil fuels and take into account the price we will pay in the future for relying on them," Wilson added in his statement. 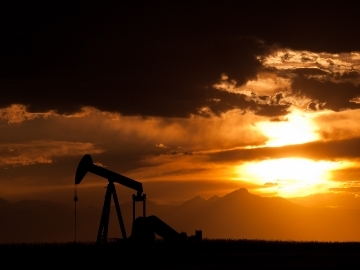 A recent report by the International Monetary Fund (IMF) revealed that fossil fuel companies receive an estimated $5.3 trillion per year in global subsidies. The statement comes as member-countries of the G20 are preparing for the 11th G20 summit in Hangzhou, China on September 4-5. This year’s summit theme is "Toward an Innovative, Invigorated, Interconnected, and Inclusive World Economy." An assessment by Munich RE found that in the first half of 2016, natural catastrophes, such as the storms in the U.S. and Europe as well as the wildfires in Canada, have caused $70 billion in losses. Data from housing firm Zillow revealed that by year 2100, 1.9 million homes across America could be underwater if the seas rise by as much as climate scientists anticipate, leading to billions of dollars in property losses. Back in 2009, G20 leaders agreed to "rationalize and phase out over the medium term inefficient fossil fuel subsidies that encourage wasteful consumption." Overseas Development Institute (ODI) research fellow Shelagh Whitley, however, believes that the G20 is nowhere near achieving those goals. "These subsidies fuel dangerous climate change," Whitley told commondreams.org. "If we are to have any chance of meeting the 2°C target set at the Paris climate summit then governments need to start a program of rapid decarbonization. The finance sector recognizes the importance of moving away from fossil fuels, governments need to realize they may be the only ones left not moving."